The Reflexion Adjustable Base offers the highest level of adjustable positioning, so you can relax, work, rest or kick back at the end of the day. Backed by a 20-year premium warranty and made with designer fabric and tailoring with furniture grade tapered leg supports, Reflexion is built for durability and helps ensure a good night – every night. Control virtually unlimited ergonomic positions to raise your head and feet or both. Wall-glide design allows the bed to adjust up and down without touching the wall. 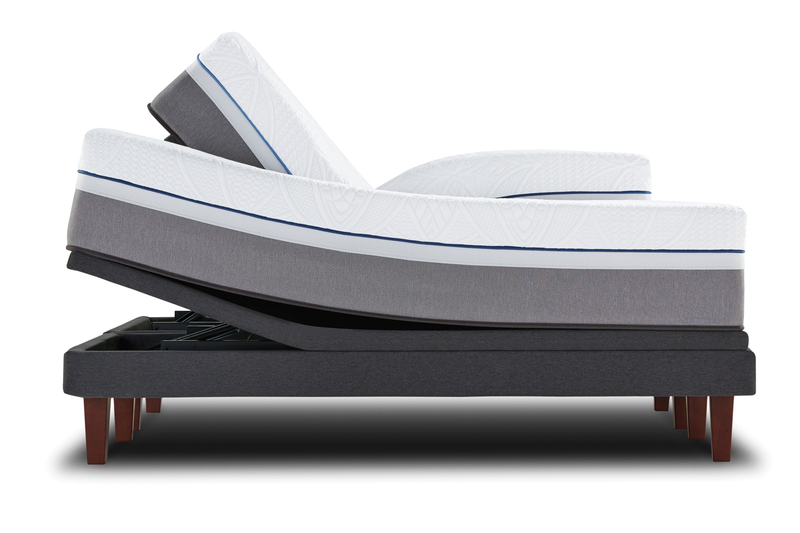 Solid, articulated design fully supports your mattress, with 6.5″ furniture-grade wooden legs. LED nightlight underneath (activated by remote control) makes it simple to find your way in the dark or to use as ambient light. Backed by a limited warranty (1 year labor, 3 year parts, 20 year frame) for peace of mind. * Each half of a dual bed can operate separately or can be paired to operate simultaneously with a single remote control. With backlit, soft-touch function keys, the wireless remote allows you to easily control the adjustable base.